Michael Belenchia began his career in the Hospital Supply and Medical Device Industry with Baxter Healthcare Corporation in 1982. His career lasted over 10 years with Baxter as he held different positions of responsibility exclusively in the Quality Management organization. His many positions varied from a Quality Staff Assistant, Solution Filling and Packing Quality Supervisor, Plant Quality Assessment Manager, Quality Superintendent and Quality Section Manager. He left Baxter Healthcare Corporation in 1993 to become the Quality Manager at Needle Specialty Products. Needle Specialty was a small, family owned company established in 1987 and was still very small with only a handful of employees in 1993. Michael established a functioning and compliant quality system to meet the requirements of ISO and the FDA. Kyle brings over 10 years of experience in the medical manufacturing Industry. His experience includes several years in the quality management of mixing, chemical testing, filling, and packaging of medical solutions. After spending several years in the Solutions Business Unit of Baxter Healthcare, he transitioned into the Medical Device Manufacturing Business Unit. As part of his experience, he has had day to day responsibility of managing and maintaining the Baxter Healthcare Medical Device Quality System, along with his responsibility for all aspects of the day to day quality management and validation efforts associated with a large scale Medical Device Manufacturer. He has had extensive experience in Equipment/Software Validations, Change Control Procedures, Regulatory Compliance, and Domestic/Foreign Product Launch. Following an 8 year career with Baxter Healthcare Corporation in Cleveland, MS, Kyle moved to Needle Specialty to assume the position of Director of Quality Assurance and Engineering as part of an upper management restructure. 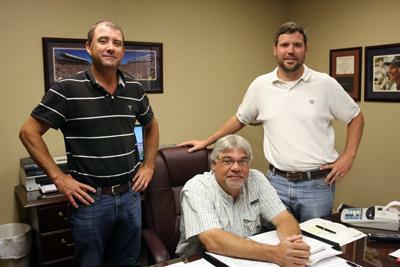 After approximately two years in this role, he became part of the ownership group with the purchase of the business from the Myers Family in June 2011. Currently Kyle serves as the Director of Quality Assurance and Engineering. He is also holds the position of Corporate Secretary/Treasurer for Needle Specialty Products Corporation. Brad came to NSP with an extensive background in machine and facility maintenance after working with various companies, the last being Shelby Die Cast in Shelby, MS. His experience and knowledge base ranges from general maintenance responsibilities to working on numerous types of manufacturing equipment, electrical controllers, computer controlled and programmed electrical controllers, hydraulics, the programming of electrical controllers and computer controlled electrical systems, tool and die, building construction, steel and aluminum fabrication. After 19 years as an NSP employee in various areas of responsibility, Brad joined Michael Belenchia and Kyle Smith as Co-Owner and Vice President of Needle Specialty Products. He also holds the position as the Director of Plant Facilities, Maintenance and Equipment activities. The quality system, along with extensive manufacturing capabilities, provided everything that was needed to service the customers that NSP had acquired to provide complete medical device contract manufacturing services. The manufacturing capabilities ranged from stainless steel fabrication, injection over molding of medical components, and the labeling and packaging of medical device components. In 1999, Michael assumed the role of Director of Quality Assurance and Human Resources. He was named NSP Plant Manager as part of upper management structure reorganization in 2009. In June of 2011, Michael became Principal Owner, President and Chief Executive Officer of Needle Specialty Products as the result of a buyout from the Myers family.